← Vote for the Museum to win Richard Wentworth for Museums at Night 2013! The simplest solution seems to be to apply a tiny amount of museum wax to the base to stop the movement. But what if the statue continued to keep moving? What would our explanation be then..? It only moves during the day. The front is warmed up by the daylight, the back is heavy and colder and acts like an ancor. The front curls up and there by pushes the sculpture away..? Try asking it – seriously. Tell it you have read the prayer, ask if that’s what it wanted, and ask it to keep still if it’s happy now. You never know…. And not long after that seeing your surprise when someone mentioned it. One of my colleagues suggested that you put a camera nearby to monitor it constantly. And he also believes that vibrations can still be the key to this mystery. Even though there are other items on that shelf and they don’t seem to move, it might have to do with resonance. Is it’s base perhaps a little convex? YES. So glad someone else thought of that, instead of just assuming supernatural forces. Someone is spinning it (which you claim not to believe is the case, which I find very hard to believe as this seems just to be an excuse for a silly blog post), or else you have a very cavalier and irresponsible attitude toward the security of your museum objects. If the vibration in your galleries is that great that a statue is making rounds like that, you should be doing something about it, rather than writing about it. Also, it’s clearly a socially awkward statute. It doesn’t like large crowds. What a merry soul you are! I would honor the request, have a general feast and then tell everyone (living and dead) to knock it off. Check the base for level and square… sounds like in is curved with high point roughly in center of base. No curved much, but enough to pivot … vibration would then do the trick. I’m going with Mr. Surrena on this one. Perhaps make it a fund-raiser for the collection! How about leaving a video camera on it for 24 hours? Vibrate the cabinet – will leave it to your own creative imaginations to find an appropriate object for that a job and see if it moves (convex base etc.) then you have a scientific explanation. Perhaps passers by or vacuum cleaners etc are enough to set off the vibration. If not you have a real visitor attraction. The Catholic Church can teach you a few things about the marketing impact of moving relics. Why can’t I like a comment? This made me laugh very much! There can’t possibly be a rational explanation for this. It’s a portent, speaking of dread things to come. Soon the mummies will awaken from their long slumber and begin to groan and stir! Perhaps we could find a way to appease the statue – nubile virgins, perhaps, dancing in naked frenzy round the gallery once a week? Be a great draw for the public. I think this is incredibly fascinating – and if I had the freedom to market this phenomenon, I’d play it to the hilt! I’d hook up some sensitive vibration and magnetic detectors, Maybe set up an ipad with a seismometer app running to show xyz vibration vectors on the shelf, etc, etc. When all else fails, whatever is left, however unlikely, must be a curse! You say three of Ms. Barlow’s objects were considered forgeries “at one time”…what were they and how has opinion changed? Ahh yes, it wants biscuits with roast beef and gravy… and a Guinness. Did you buy recently some equipment with strong magnetic field, like for instance NMR? If the statue contains magnetic particles, that would make it spin.. however, the NMR or similar device should be rather close..few meters away.. I would like to add do we know which ‘KING GIVES’ as written on the statue ? This an offering from a king as it reads in the article. to what compass direction does it stop ? “The simplest solution seems to be to apply a tiny amount of museum wax to the base to stop the movement. But what if the statue continued to keep moving? What would our explanation be then..?” Will you do this exerience? You may also change the position of the statue in the case and see if another statue moves to the same position. Obviously it will seal the case. I like a good “believe it or not” as much as the next person but this screams “hoax” for the fact that no genuine attempt is made to solve the “mystery”. Put the wax on the bottom or at least relocate it to someplace else and observe. Has anyone examined the statue, how is anyone to know if this isn’t someone else’s elaborate gag? After all, there IS more than one key to the cabinet. put something else there and see if it moves. if its vibration affecting the statue based on its position in the glass cabinet then something else should in its place should be affected the same way. otherwise Zarko i like your explanation . I posted this on google+ and am repeating it here. My observation: The statue moves only when it is daytime and you see the movement of people. It stops for the whole duration when it is dark, It could be a simple combination of vibration and some odd quirk (anomaly) of the contact points of the statue and the glass surface. Maybe the statue sleeps at night! Find 21 more like it and field an Egyptian electric football team. Doing for publicity and business..!! I’m surprised this is such a mystery! It’s a simple child’s game from the early 18th century. These type of statues were designed to turn like this. They were manufactured as a kind of ‘ouji’ board or “eight ball” and sold with a stone or wooden base (1 square cubit – around 18 inches square). It was a very popular item in the early 18th century (and possibly earlier). The edges of the base were marked with “answers” (yes, no, maybe, not possible).The way the game works is that you place the statue on the marble base, add a bit of oil or water. You would ask a question, then in the morning you’d find the answer! In this case, the glass here is so smooth that no water or oil is needed. These items were manufactured in bulk. The reason you don’t see very many of the bases now is that most were made of thinner stone or polished wood (and are no longer around as they were quite fragile). My grand-father collected these and we used to play with them as children in the 1960’s. It was fun waiting to see which direction the figure would turn in the morning! Did the strong magnetic field just got here now? why did n´t we see that all this years before the statue start moving? we just have to wait a bit to see if someone else will give us a more reasonable explanation. It is obvious what is happening here. The statue is looking for the nearest Yugioh tournament. IT’S TIME TO DUEL!!!!!!! YUGIOHHHHHHHHH!!!!!!!! Acredito que tenha uma obra perto ou algum transporte público ou até mesmo o fluxo de carros que esta provocando vibrações na estrutura do prédio ocasionado a rotatividade da estatua. Repare que a mesma roda no mesmo ponto no intervalo em que possui indivíduos e objetos trafegam na área. Isis is rising, this is part of the preparation ! 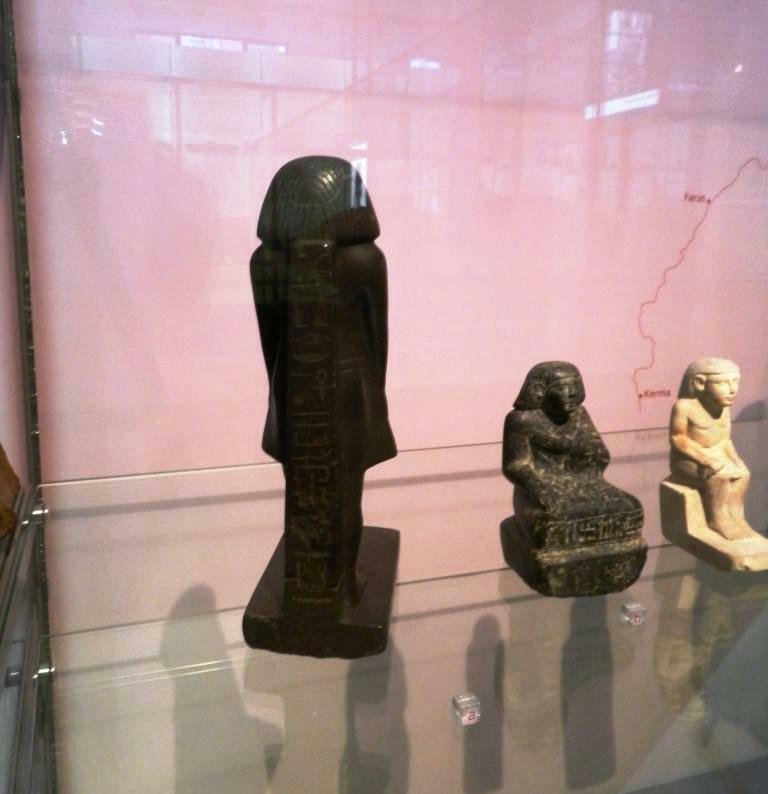 Pingback: Egyptian Statue in Museum Possessed? Nebsenu could be a combination of Nebseni and Nu?. Do the movement of the statue could be related to the Sun Flares? whom do this statue portrait? Pingback: News | Ripple's Web » Is Egyptian statue spinning? 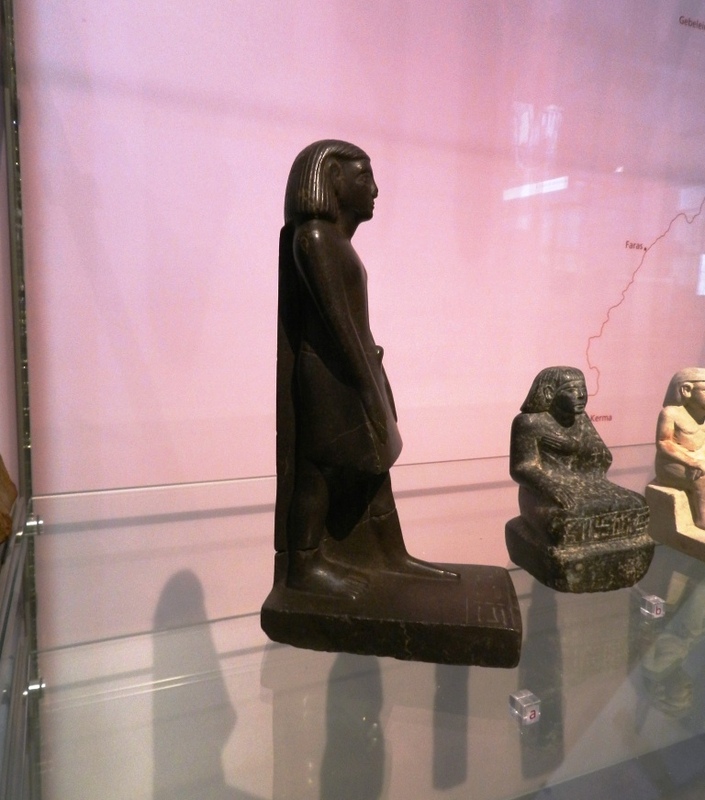 Pingback: Ripley's Blog | Ripple's Web » Is Egyptian statue spinning? 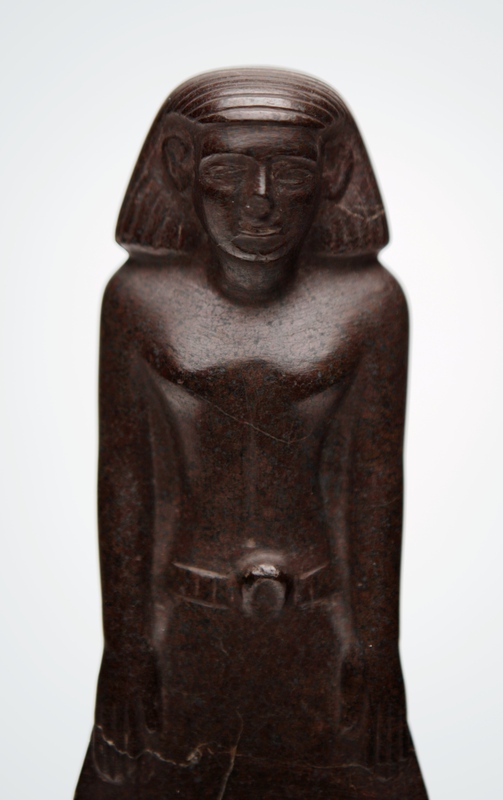 Pingback: This and that | Ripple's Web » Is Egyptian statue spinning? of bread, meat, and beer! That’s obviously what it keeps asking for! (See Bill Schreck’s previous comment.) Bill’s right; the base of the statuette could be slightly curved, with its high point at the exact center. Which then brings us to the idea that it was created this way on purpose. If the object is a “standard prefab” from the Middle Kingdom, it seems plausible those ancient sculptors were sophisticated (and witty) enough to know how to create a statuette that moves at the slightest vibration (i.e., foot traffic). You can now imagine this feature was probably considered useful (and amusing) back then. A few of my own ideas: When placed in a tomb, the statuette could (in theory) be a scare tactic for tomb robbers. Or, if it were bought by the deceased person’s surviving relatives for display in their homes (there were more prosperous middle to upper class people during the Middle Kingdom), the statue would eventually turn around and remind them of forgotten their religious duties. LOL. Have you try to swap the figures? or did you check the correspondence direction of the statue (north-south-etc)? Have you tried to swap the statues? or have you checked the direction of the statue (north-south-etc)? I have read many comments about this phenomenon. As a worshiper of ancient religion I have seen this phenomena during our masses, believe me or not. If you really want to be surprised, do pay the statue. Just leave some bread with glass of beer near it and it will stop rotating. The gifts must be near the statue 24 hours and then they must be destroyed – no one can use them. If someone use the food given to spirit, he gets angry. ( think if someone gave you something and would take it back.. you would be angry too 🙂 ) After 24 hours just throw the gifts to the dust bin. The spirit will be satisfied. And it will be another sensation. Do not worry. When he gets hungry, he will start rotating the statue again. Oh I have forgotten. If you do not want to do it in front of public, do give the presents during weekend or when the museum is closed. You will be surprised. I have many similar statues at home and I have seen many miracles with them. So I know this article is not a hoax. Do not worry. Just try it. Science is about experiments and the rest is just a matter of open-mindedness :). Let me posit this. It is obvious that whomever or whatever wants this attention wants everyone to see the cartouche on the back. It is asking for a food and beer offering to Osiris. However, it is unlikely that the metaphysical world will show-off for cameras and any other method of verification. Sort of defeats their M.O. to detract from the really important metaphysical being? Any way, Is Dr. Merriman worried about President Rothwell pulling the plug and sacking everyone? There is an article in a Manchester newspaper about the financial trouble for the museum industry in UK (and specifically Manchester). I would think that since TWO people have a key to the case someone is playing with rare earth magnets.It is very easy to glue a flat one to the base. Then when a visitor equipped with the opposing pole walks by the case it tends to move a bit in a jerking fashion. Notice how it only tends to jerk anti-clockwise when visitors and staff are present. Rare earth magnets are very powerful. They can react to each other from a considerable distance. Glass does not block it. I say put a compass on the shelf and have ANOTHER camera capture the needle moving when a PARTICULAR visitor walks by. You’ll know who it is if the statue moves. I know you have a free admission right now so any such trickery is not for that reason. But there are other reasons to do this trickery like gift shop and cafe revenue, and convincing President Rothwell that the museum is loosing interest to the Manchester public. Pingback: Spinning statue turns heads | Uni-za.com site for your Life. Pingback: Spinning statue stumps museum | Uni-za.com site for your Life. Pingback: Estátua egípcia se move sozinha no Museu de Manchester! : E-farsas.com – Desvendando farsas da web desde 2002! Michael Jackson is sending us a message! I like the magnetic theory best. Are we all aware of the pendulum results when there is a solar eclipse? They jump around all over the place and then return to some form of synchrony when the Sun comes back. “Correlated anamalous effects observed during a solar eclipse” by is an Eastern European study that follows up nearly 50 years of similar observations. NASA has a page on it but apparently it is not that important these days to science as it seems there hasn’t been much since. Therefore the effect may be due to the Supermoon and the excess light reflected towards Earth? The Egyptians made tons of things out of tons of stuff. But I quite like the idea that this guy is special, and that they knew what they were making it out of and what it would do. These were the guys that built the pyramids to exact dimensions, effectively to ensure they would travel to the stars when deceased. They knew about light, maybe more than us. So my guess is this is a 4000 year old trick and they knew exactly what it would do, even if they didn’t have modern physics to explain it, not that we can explain everything with modern physics at this stage anyhow. The ancients were a lot more clued in than we give them credit for. Please don’t glue the little guys feet to the ground!!! This should stop in a few months to a year when the Supermoon leaves us. Leave it where it is and as is till early next year. At that time it would be a good idea to drill a very tiny hole in a radius to the centre to determine the materials it is made of. Forgive me Osiris for suggesting we hurt it. In the meantime many of these lovely things should be where they belong. Anyhow that is all my preferred theory. The reality is probably a lot more boring, as the walkers going through the museum only go through during daylight, which is the only time the statue moves. But please leave with me with my “moon walker” theory as it is so lovely. 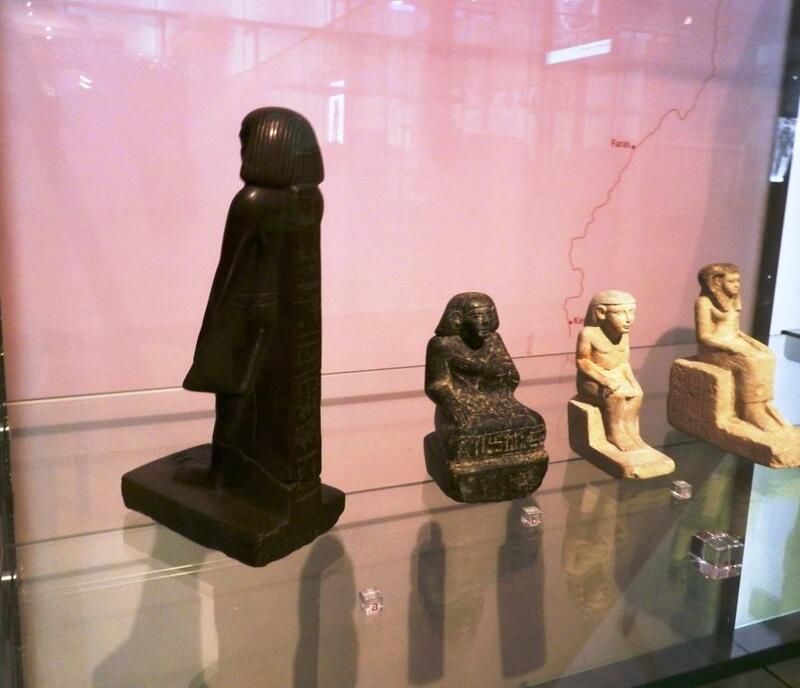 Pingback: Mysterious Egyptian Statue Spins on its Own - The Toonari Post - News, Powered by the People! Maitreya is already under suspicion from various academic circles. I think its movement is caused by magnetic attraction.I doubt that the statuette has a magnet inside. When it was in the other shelf then the north of the magnet might faced the north pole and the south faced the south pole.But now after it is shifted the directions might have changed.Thus its my belief that there is a magnet in the statuette which is causing its movement to the magnets matching pole.I am saying this because the Egyptians used magnets to keep a track of direction and they used to keep magnets in pyramids with mummy’s.The Egyptians were very advanced than some people of today’s. Yesterday i made a comment to which i want to add something.The statuette is moving only during day time as magnetic forces are stronger in the presence of sunlight,the forces do act in night but as the doors and windows are closed the less powerful force is unable to act. Yes, Manisha, but if you saw my tongue-in-cheek post explanation about Michael Jackson and moon-walking, and the pendulum effect, you might consider that during times of solar eclipses unusual things happen i.e. pendulums move when the Sun is blocked, and then re-establish themselves, which I guess is an EM effect of some sort we are yet to understand. Therefore the recent unusual “supermoon” may have resulted in above average light, or unusual EM properties, which is why the phenomena is only recent and not long-term. I actually might have expected it moved at night. I agree with you the Egyptians knew what they were doing, and it is important to realise the Priests had to convince the masses- just like these days. Why not a moon walker? Why just the Sun? Also some people have pointed out that it may be a property of the material that it was made of, however the idea of magnetic material placed inside that you mentioned as part of Egyptian culture is interesting. Certainly the rattleback thingy mentioned in the posts seems also to be very convincing. It is not hard to set up tests for these things and a bit of basic equipment may establish the truth, including anything suspect. However the time is running out for the effects of the Supermoon, and hence any EM effect by that mechanism would cease in a while. We look forward to the museum getting some proper scientific tests to establish the veracity of Moonwalker, EM effects due to magnet inside and sunlight, or rattleback and other vibrational effects. Like the pendulum effect,which has a good deal of scientific veracity, this one may also remain unanswered due to lack of additional equipment on site. I am not surprised we can’t find dark energy if we can’t establish these on Earth things. Looking on Earth for answers to dark energy via pendulum effects etc may be more productive! One thousand trays of bread, one thousand jars of beer, one thousand head of oxen, one thousand head of fowl, one thousand bushels of fruit, one thousand bushels of vegetables, one thousand bushels of onions and one thousand bushels of shallots, one thousand bushels of sweet herbs and foreign spices, one thousand pounds of good rock salt, one thousand jars of honey, one thousand jars of fine wine, one thousand litres of clear pure water, one thousand litres of pure cool cow’s milk, one thousand bags of all the modern confections, such as your statue witnesses consumed, which is one thousand each of the chocolates, toffees, cheeses and fizzy sugared drinks, one thousand of all grains and one thousand times the making of all grain foods such as yeast, salt, and oils, one thousand each of the nuts, berries, fruit and vegetables that are from beyond your land and available to us now, one thousand of fine linens, one thousand of leather for sandals, one thousand set of all your needs for clothing and one thousand of your adornments, may one thousand gold and jewels, silver and unguents be yours in accordance with the will, one thousand centuries of cosmetics to adorn your visage, dress your hair, and scent your form, one thousand centuries of supplies for writing, artistry and crafts you may pursue, one thousand more of all you need is reverently offered to you, one thousand of all good things to you, the deceased Osiris Neb-Senu (called by us in our tongue), may your name ever be remembered with reverence and may future generations not skimp on your offerings. May the one who defames this post be seized by his neck, like a bird, and judged in the august council of the Great God, but as to the one who is open minded and respectful, may he be blessed in all things true and good. The fact that it turns and then rests at a fixed position supports the idea that the base is not exactly flat and vibrations are causing it to move. I wonder if the shelf is level? Maybe the vibrations are from an air conditioner or vent in a nearby wall or floor that only runs during the day. Either way I’d love to see what happens if you set out the offering it requests. Do that before using museum wax or tilting the shelf forward so it rests facing forward. Please respond with a follow up! 1.) What are the EXACT measurements of the statue? Height, width, weight, material composition, etc. Everything. 2.) Which direction on a compass is it facing when it’s correctly displayed? 3.) Approximately WHEN did this begin? Date, time, as close as possible, if not EXACTLY. 4.) What time EXACTLY does it start to move in the day, and when EXACTLY does it stop? 5.) How many millimeters does it move in a one hour period? 6.) Does it travel in complete circles? Or just in 180 degrees as your time-lapse suggests? 7.) Is it always going counterclockwise, or does it switch? If so, when? After 3 days? After 180 degrees? 8.) What, or who is behind this display? Perhaps another mummy, or some other preserved treasure that the statue wants to be facing? There is so much data that needs to be acquired…this event, if not a hoax for publicity or a cruel practical joke gone wrong, is extremely significant. I hope they have answers available to us soon, and if we hear that the statue has moved again, but let’s say this time from the museum case to a warehouse or the west wing of the Vatican, then something is definitely going on.